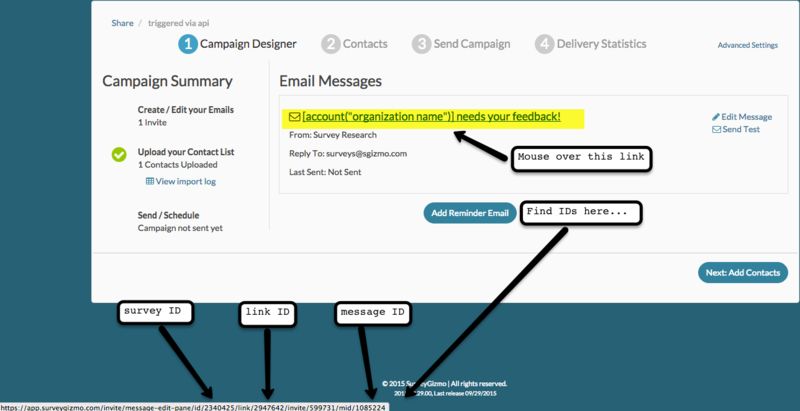 [Solved] How to set the schedule on Reminder emails via REST API? Is it possible to set up the schedule for a reminder message via the api? This doesn’t appear to be. If not, is this planned for the API? For your reference in finding survey ID, link ID and message ID – here is screenshot. I don’t think you can schedule or send even regular messages through the API. Someone correct me if I’m wrong?